Sometimes I spend so much money on these really cool toys with all the bells (literally) and whistles and then my child falls in love with a spoon and I wonder why the heck I wasted all this money. 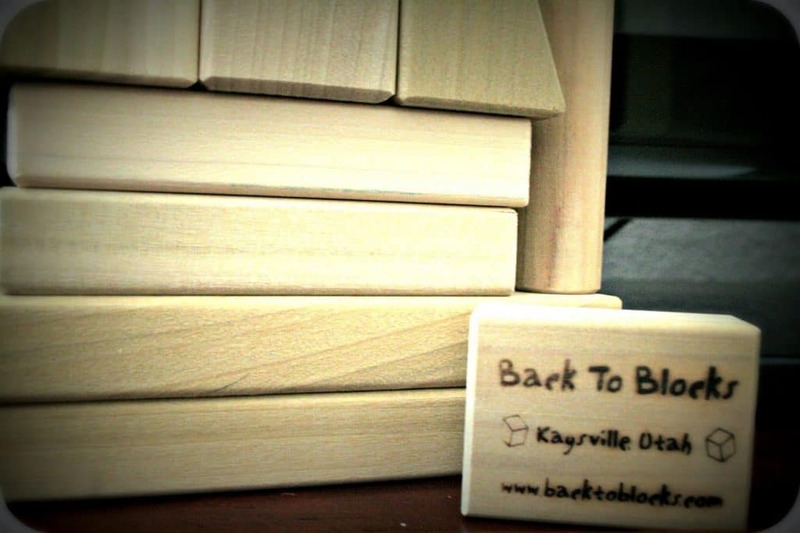 So I was elated when Back to Blocks contacted me and asked me to review their 12 block wooden block set. I knew my babies would love these and the fact that they are a quiet toy was kind of exciting. First of all the blocks are made out of poplar wood and are perfectly sanded and shaped. 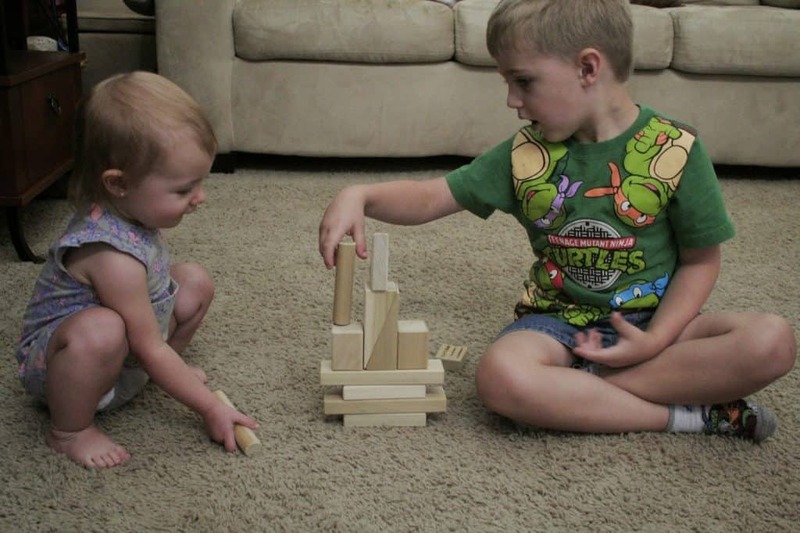 They were easy for Emberlynn and Eyan to hold onto and build things with. I was worried that the 12 piece set would be too small for them to share, but they played very well with them and it was actually a perfect little started set. The blocks are also very lightweight which was nice when I realized that Emmi may or may not have been hitting the poor dog with one of the blocks. These blocks are also 100% made in the U.S.A! I love that little tidbit because it puts more money directly into our struggling American economy! 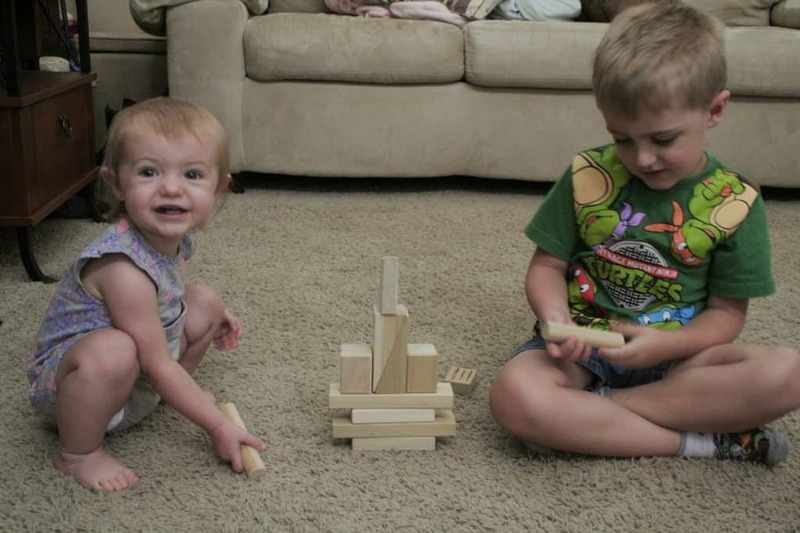 I mean look how much they enjoyed these awesome blocks! One of my favorite things about these blocks is that they actually inspired Eyan to be imaginative and creative. He came up with the cutest game that really tests your critical thinking and problem solving skills. One person puts all the blocks behind his/her back (block holder) and then puts their hands behind their back and grabs one block in each hand. Another person (block selector) has to choose one of the hands from the block holder person. The block selector person then has to try to build the tallest, sturdiest structure out of the blocks they are handed. 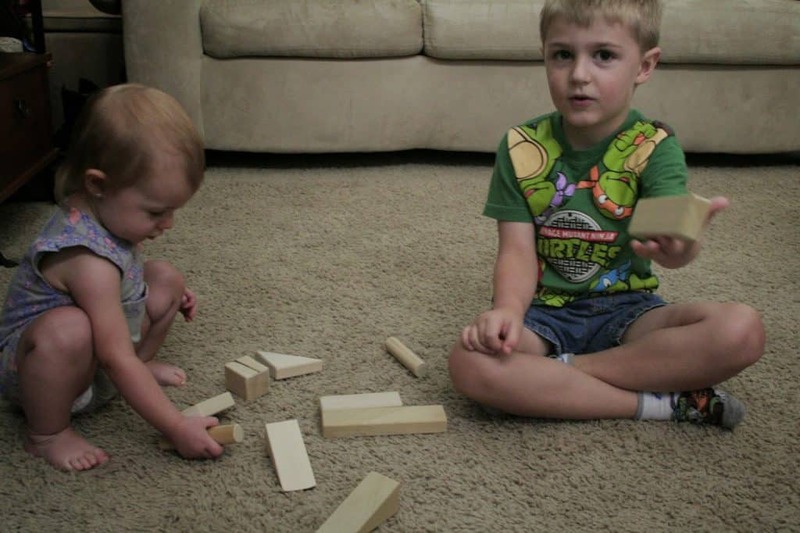 The trick is that the blocks have to be placed in the order you received them and the block holder person can get a bit tricky and hand you some of the tougher blocks to balance. We probably played this little game for an hour until Godzilla baby destroyed our fun and needed a nap. Back to Blocks is a wonderful company and is offering one of my readers a small set of 12 wooden blocks, just complete the simple Rafflecopter below and GOOD LUCK! The castle creator set is cool! love the idea of quite playing! And how cute are they playing together! !